The Pens are now the second team in the Eastern Conference to earn a playoff berth after a 5-0 win against the Islanders yesterday, and the focus now is securing home ice advantage in the first round of the playoffs. The team they're facing tonight is still in a fight to stay in the wildcard chase. It's the 2016 home finale for the Pittsburgh Penguins, and they'll host a familiar foe when the Philadelphia Flyers come to town. It's the third of four games between the teams this season, with the last match-up the final game of the year, and the Pens have won both of the previous games this season. Perhaps the biggest surprise of the season so far for the Flyers has been the play of rookie defenseman Shayne Gostisbehere. The 3rd round pick in the 2012 NHL draft, Gostisbehere started the year with the Lehigh Valley Phantoms of the AHL before being recalled in November, and he's been a force at the NHL level since. He's tied for 6th in the league among all defensemen with 16 goals in 59 games played, and his 42 points on the year is likely going to make him a finalist for the Calder Trophy. Gostisbehere is 5th on the Flyers in scoring, but it's no surprise who's leading the team. Claude Giroux might not be the best player in the world, or anywhere close, like the Philadelphia media wanted to anoint him as, but with 22 goals and 43 assists he's still a useful player for the Flyers. Those 65 points are good for 17th in the league in scoring, but Giroux is also on pace to have his lowest point total since his second year in the league. 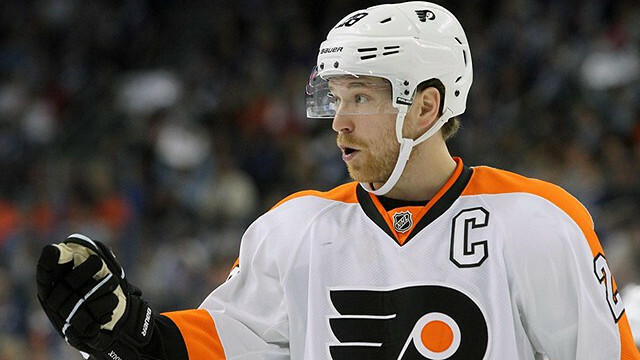 But while Giroux is struggling, it's a couple of other players who have put in career years. Brayden Schenn and Wayne Simmonds are tied for 2nd on the team in scoring, and each is having one of their better years in the league. Schenn has already set career highs with 25 goals and 31 assists, and by a wide margin too, while Simmonds is within striking distance of the career highs of 29 goals and 31 assists he set in 2013-14 after posting 28 goals and 28 assists in 77 games. The Flyers signed Michal Neuvirth during the offseason to add depth in net behind starter Steve Mason, and he's responded with some of the best play of his career, posting a 0.925 SV% and 2.28 GAA through 31 appearances. His strong play has helped the Flyers after Mason struggled earlier in the season, but he's been much improved in the second half of the year, and Mason now has a 0.920 SV% and 2.48 GAA in 50 games. - Matt Murray posted 12 shutouts as a member of the Wilkes-Barre/Scranton Baby Penguins last season, and he recorded his first career NHL shutout yesterday in his 9th career start. With Fleury out indefinitely, it could be up to Murray to handle the load.